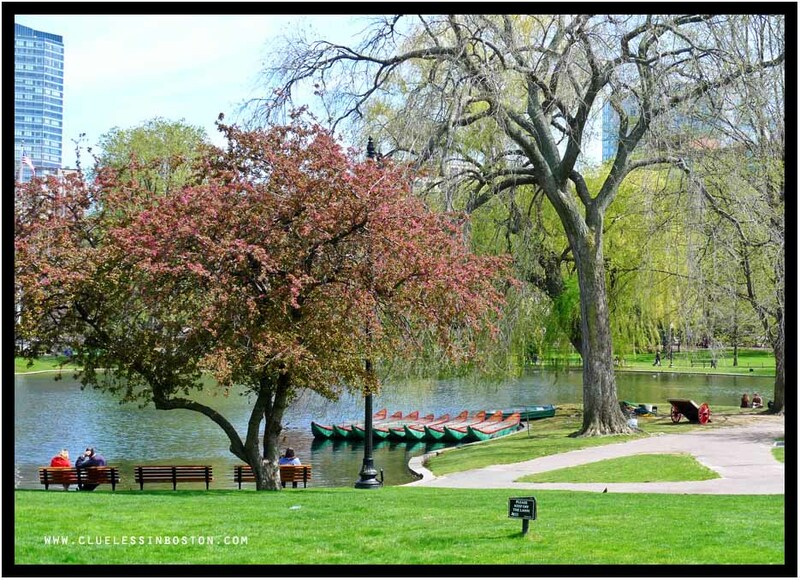 Today is the official opening of the Swan Boats in the Boston Public Garden. Unfortunately, cold and wet weather may keep many from attending the celebration. I took this shot on sunnier and warmer day earlier this week, when the boats were first launched and not yet fully assembled. Below is a closer view of the boats from a different angle. I was born in 1941 and when I was a small boy my mother read to me from a charming book by Robert McCloskey called "Make Way For Ducklings". It was about a family of ducks that made its home in the Boston Public Gardens and the wonderful illustrations included these swan boats. 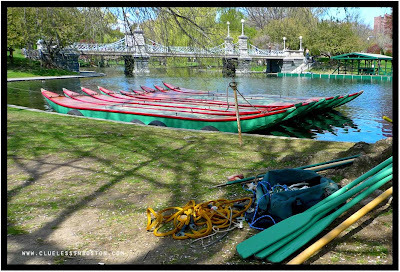 Many years later I visited Boston for the first time and saw these same swan boats looking just like McCloskey's drawings and the memory of the book came flooding back. The swan boats are still in the garden and the book is still for sale. I am reassured that some good things have not changed. Thanks. Beautiful! I love to go rowing. The weather will improve, I am sure. Do you go rowing in these boats? How many can fit in one boat? Hope the sun returns soon to light a path across the lake for the boats. not a good day for swan boating. Did that for the first time last year, very cool. Love the park. What a nice assortment of trees, too! Beautiful image, beautiful place to relax and take a stroll! Pretty photo ...and thanks to Tulsa Gentleman for the reminder of "Make Way for Ducklings". A buccolic place to spent a weekend afternoon.. Okay. For all you wondering about the Swan Boats, they are not row boats, they are paddle boats. The driver sits In the swan (unfortunately only Employees pedal the boat, which is good, because they are hard to pedal, mainly because they each weigh almost 2 tons fully loaded) the pontoons in the water are the bottom of the boat. There are two pontoons to a boat, and 5 rows of benches on each boat. Check out www.swanboats.com for more info.